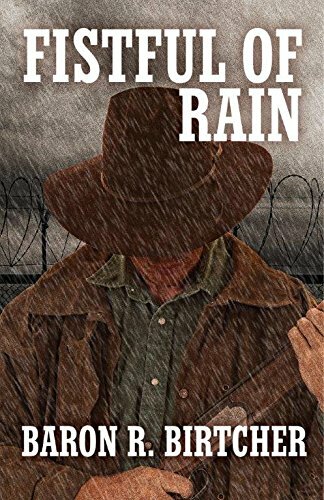 The protagonist, Sheriff Ty Dawson, is an easygoing character, well described, and well revealed as a throwback to the days when doing the right thing was the right thing to do. He’s only known as Sheriff or Ty for about the first 50 pages. The sheriff tries to run his county in an even-handed manner, being tough when necessary and encouraging otherwise. The beginning of the book was a bit confusing with the introduction of two characters who would not come into play again until near the end, and, as with several of the other characters, it was a bit hard to keep up with who was who and why they mattered. There is plenty of text devoted to exploring relationships, both in the sheriff’s immediate family and with other minor characters who come into and out of the picture. The characters are well developed, and place descriptions make it easy to visualize the landscapes. The conflict in the story is familiar: outsiders moving into a community that is suspicious of them. Since the setting is in the sixties, the outsiders are a community of “hippies” who are led by an all-powerful guru. The guts of the story run much deeper than what lies on the surface, and through the arrival of a couple of gangster types, a series of murders begin to happen and things get bloody. When the story is pulled together near the end, it is surprising with a splash of outlandish. The end seems to come off a steep hill as it nears the climax and is a bit too neatly contrived. Danny Johnson's debut novel, The Last Road Home (Kensington), was longlisted for the Southern Book Prize. He has also been a Pushcart Prize nominee with short fiction published in such venues as South Writ Large, Sheepshead Review, and A Southern Journal, among others.